Tillman Franks came to live in Shreveport with his family at age two. His career travels included stints living in Little Rock, Nashville and Houston. In 1954 he and his wife moved back to Shreveport and continue to call the city home. He says he has been lucky to have lived within what he calls the magic circle, an area he describes as a 50 mile radius from downtown Shreveport. them to play. 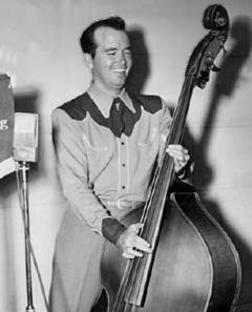 Under Franks’ guidance, Horton produced a string of number one hits such as The Battle of New Orleans. 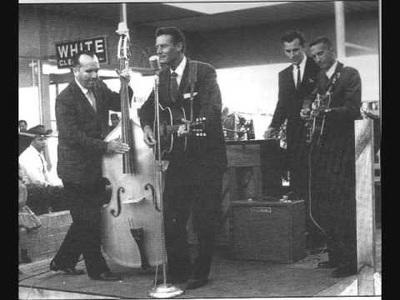 Franks also served as a guitar instructor to the likes of Merle Kilgore, Jerry Kennedy and Tommy Sands. Franks is still active in the music business. In 1981, he and friend Claude King have released a song entitled Cowboy in the White House that urged support for the president. Franks’ importance to music history in Shreveport and the state has been recognized by media such as KWKH Radio, which sponsored Tillman Franks Day in Shreveport in 1996, and by others outside of Louisiana such as the Texas Country Music Hall of Fame.